Ford sees the light but will his colleagues switch it off again. It’s good to see David Ford, the leader of the Alliance faction in the Stormont Coalition, making belated moves to adopt the policies of my own party, UKIP. (Belfast Telegraph 10 July). However, I doubt if we will hear much more about this. His suggestions on opposition, ending petitions of concern, voluntary coalition, transparency on political donations and ending sectarian designation are excellent, if not at all original, and may do something to calm the tensions that Alliance has been building up ahead of the summer. However, I doubt if we will see any action to back his words. If he strongly believed in these matters he would withdraw his party from the Stormont Coalition today and resign his and his colleague’s ministerial briefs. Time to stop being wimps. The compliant Stormont Coalition is playing its role in destroying democracy in Northern Ireland. The recent decision of the Parades Commission not to allow a short length of Orange parade in the Ardoyne area of North Belfast indicates that the quango has, yet again, caved into the threat of violence. The decision finally convinced the DUP(Democratic Unionist Party) and the UUP(Ulster Unionist Party) that they were never going to achieve anything by talking with their Alliance, Sinn Fein and SDLP(Social, Democratic & Labour Party) partners in the Stormont Coalition. Long after it has dawned on the rest of us it is slowly penetrating UUP and DUP skulls that the other parties forming the Coalition have no interest in reaching agreement. They have left the current round of interminable talks muttering about a graduated response. By their continuous stoking of tensions Sinn Fein have shown that, far from wanting a “shared future”, they are not, and never will be, prepared to share the present. Sinn Fein have an agenda and a peaceful Northern Ireland plays no part in it. The Alliance Party are probably playing the role of what the Soviets used to call “useful fools” in all of this. They have been persuaded that their ongoing taunting and badgering of sections of the community who do not share their views illustrates their superior non-sectarian tolerant intellects. In reality they are dangerously raising the tensions ahead of next weekend. David Forde, their leader, and the Coalition’s Justice Minister, of all things, publicly ridicules attempts by other politicians to calm tensions while he trumpets his predictions of violence to anyone who will listen. Saddest of all of the obstructionist parties is the SDLP. 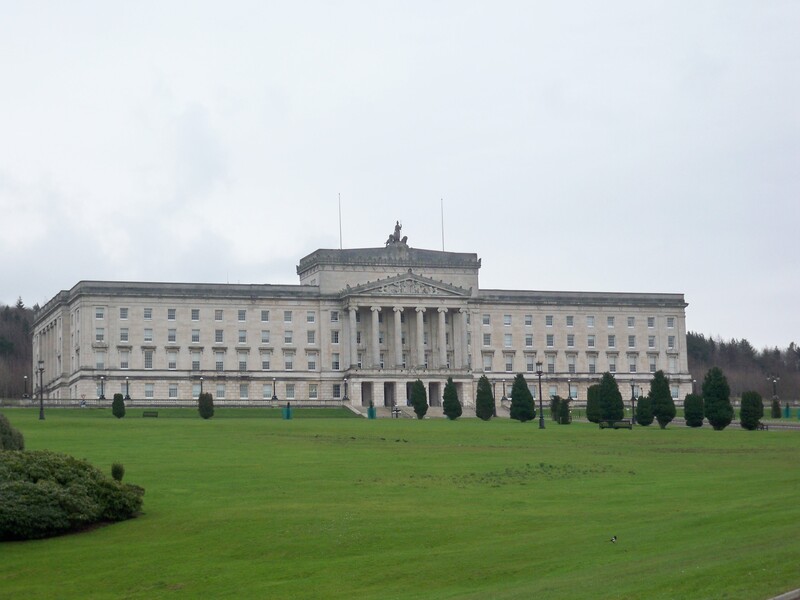 While their rank and file membership and most of their local government councillors work hard for the community and loudly express their contempt for the destabilising antics of Sinn Fein, their MLAs sit happily in the Stormont Coalition usually acting as a mouthpiece for the positions taken by Sinn Fein. Before I return to the Unionist Parties I would like to briefly discuss the role of the Orange Order. This group has been demonised relentlessly by the “liberal” chattering classes, among whom they have become acceptable hate figures. On 06 July, the media commentator, Brian Feeny, complained in tones of righteous affront about an Orange Parade in 1813 while speaking on BBC Radio Ulster’s “Sunday Sequence.” This typifies the bigoted sectarian approach trotted out by those who delude themselves about their own tolerance. At this stage I should point out that I have no connection with the Loyal Orders and, indeed, am not a Protestant. Even if I were, I would not seek membership of such an organisation. It just doesn’t interest me. However, that doesn’t mean I have to feign offence at their activities as so many Alliance and Sinn Fein bigots delight in doing. The Orange Order has, in the past, been rather inept at putting its case but, I’m delighted to see its present leadership has a much better grasp on how to take its political campaign to its enemies. In Northern Ireland, at present, we have a situation where one group seeks to peacefully display its traditional culture while others, with evil intent, feign offence and threaten violence, either explicitly or implicitly. These groups and their cheerleaders in the media and Stormont Bubble, then use the trouble and unrest they have stirred up to blame those who originally planned peaceful parades, for loss of tourism and inward investment to Northern Ireland. This annual sleight of hand blame transference amazingly escapes the notice of almost everyone. Castigation follows of the group involved, urging them to indulge in more useless talks with duplicitous “residents'” associations. This is the old-fashioned Ulster politicians’ response when they have been out-manoeuvred and don’t know what to do next. Remember the campaigns against allowing the Government of the Republic of Ireland a say in Northern Ireland affairs? Remember the campaign to prevent parties supporting terrorists to be involved in Devolved Government? Remember the campaign to delay parties supporting terrorists from joining a Devolved Government until they had fully decommissioned? I hope you’re all ticking the boxes beside any of the above campaigns which were successful. So will the new secret “Graduated Response” work? Of course it won’t. But there is a tactic which would move things forward. While the Ardoyne parade ban is only a small item on the list of assaults on democracy and freedom in Northern Ireland, it is symbolic and can be used to turn the tide against the anti-democratic forces. It can form the basis of a specific demand, namely that the ban must be rescinded. It has a definite time frame expiring at 18:00 on Saturday 12 July 2014. The “unionist” parties in the coalition have a sanction they can impose that none of their opponents think they have the bottle to implement. If by 18:00 on 12 July 2014 the proposed Orange Walk section country-bound from the Twaddell Avenue/Crumlin Road Junction, Belfast, has not been allowed to take place legally, the Democratic Unionist Party and the Ulster Unionist Party will withdraw from participation in Devolved Government at Stormont and all of their ministers will resign by 09:00 on Sunday 13 July 2013. Will these two parties be prepared to put the interests of Northern Ireland ahead of their comfortable positions in our do-nothing devolved Executive? Come on DUP; come on UUP; come on Robinson; come on Nesbitt. DON’T BE WIMPS. Give your public backing to the above ultimatum or hand over the leadership of Unionism to those who realise what’s going on. Meanwhile, I will add my voice to those of many others who are urging all right thinking people to refrain from violence in the coming days. Those who attack police, property or riot in any way are unworthy to be called Unionist.